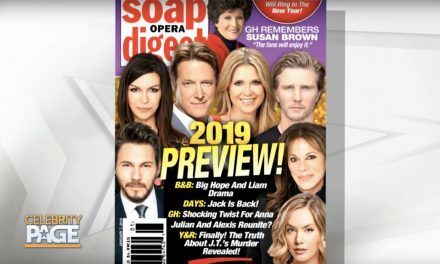 Soap Opera Digest brings us the latest news on behind-the-scenes romances and the inside stories on real life friendships involving daytime’s biggest stars! Days of Our Lives star Greg Vaughan and Rizzoli & Isles and Law & Order fixture Angie Harmon have revealed their real-life romance on social media! With Vaughan’s three sons and Harmon’s three daughters, the couple refers to themselves as a real-life Brady Bunch. Of course, Vaughan isn’t the only Days star making romantic moves. Co-star Freddie Smith and longtime girlfriend Alyssa Tabit have made things official with an engagement. They plan to marry in Summer or Fall of 2019. It shouldn’t come as a surprise that Soap stars find friendship on the common ground that they occupy — even across shows. General Hospital’s Michelle Stafford and Days of Our Lives’ Nadia Bjorlin were introduced at a dinner many years ago, and have become companions ever since. From attending parties together to arranging playdates for their kids, the stars’ lifestyles are in-sync. Daytime newcomers Josh Swickard and Michael Mealor are proof that some friendships go beyond Soap roles. Long before they were cast in General Hospital and The Young and the Restless respectively, the two handsome actors met at model castings. The have been best friends ever since. Will Gilles Marini find a new best friend on the set of Days? The actor talked to us about how his co-stars have embraced him, and how his casting has improved his family life. 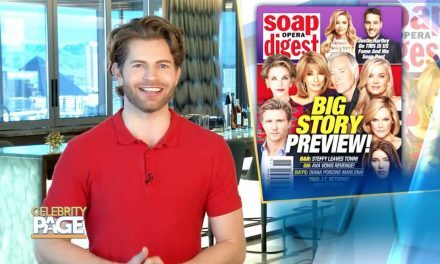 To keep up with the latest twists and turns onscreen and offscreen, stay tuned to Soap Opera Digest. NextWWE Power Couple Miz and Mrs.